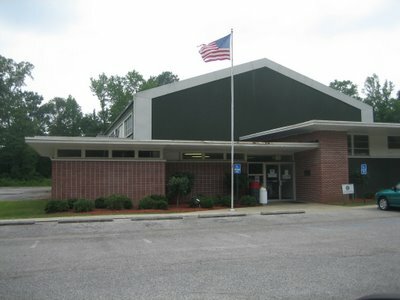 This is the Pell City Community Center. It may not look like much from the outside, but there have been some cool things inside. One was a book sale where I bought copies of two of my favorite books One Fish, Two Fish, Red Fish, Blue Fish and Fox in Socks. Ah, you must have young children. Or you are just still young at heart. I'm familiar with those books.